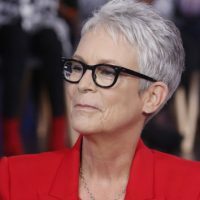 ABC/Lou Rocco(LOS ANGELES) — Jamie Lee Curtis is opening up about the opioid addiction that nearly destroyed her life. She says she was initially prescribed opiates after minor plastic surgery “for my hereditary puffy eyes” and soon began abusing the painkillers, even stealing pills from friends and family. Finally, in 1999, she sought help and attended her first recovery meeting. She told her husband of 33 years, Christopher Guest, about her addiction that same day. Curtis’ family has a long history of addiction. Her father, actor Tony Curtis, battled alcohol, cocaine and heroin addictions, and her half-brother Nicholas Curtis died of a heroin overdose in 1994.